When will your doctor recommend artificial sweeteners in pregnancy? What are the benefits of artificial sweeteners during pregnancy? What are the side effects of artificial sweeteners during pregnancy? Sugars are essential for our body. But a high incidence of health conditions such as diabetes and diet-related diseases have resulted in the production of sugar replacements, making them the standard ingredients in packaged foods, drinks and also medications. Also referred to as artificial sweeteners, these sugar replacements are great alternatives to the natural sugars in the diet. But how safe are artificial sweeteners during pregnancy? Can you use any of them? Here, MomJunction tells you what artificial sweeteners are and which ones to use during pregnancy so that you and your baby are safe. Artificial sweeteners are substitutes for regular sugar (sucrose). They are synthetic sugar substitutes derived from either herbs or natural sugars. They can be nutritive (have calories) or non-nutritive (have no calories) sweeteners (1). Nutritive sweeteners add calories to your diet and contain very few minerals or vitamins. They are safe when used in moderation, as long as they do not contribute to weight gain. But if you develop conditions such as diabetes mellitus, insulin resistance or gestational diabetes, you may have to limit their consumption. Sucrose, fructose, maltose, dextrose, corn sugar, and honey are nutritive sweeteners. Sugar alcohols, such as sorbitol, mannitol, isomalt and xylitol and hydrogenated starch, are also nutritive sweeteners. They are technically not sugars and are converted into fats in the body. Non-nutritive sweeteners are added in minimal amounts for sweetening the dish. They are approved for use in reduced calorie and dietetic foods. Stevia, aspartame, sucralose, and saccharin are some. Yes, artificial sweeteners approved by the US Food and Drug Administration (FDA) are safe, when used in moderation. You should consume them within the acceptable daily intake (ADI), to prevent them from becoming empty calories that replace nutrients required for a healthy pregnancy (3). According to the FDA, you should limit your use of artificial sweeteners to two to three servings per day. One serving equals one packet of sweetener or a 12oz can of diet soda (4). Overconsumption of artificial sweeteners can lead to excess weight gain. Sometimes, your doctor may recommend the use of artificial sweeteners during pregnancy. When Will Your Doctor Recommend The Artificial Sweeteners In Pregnancy? To control weight gain: Weight gain is normal during pregnancy. On an average, you can gain between eight and 16 kilos based on your BMI (5). But if you are gaining more than this, you might require artificial sweeteners to cut down on the calories. Artificial sweeteners have fewer calories when compared to table sugar (16 calories per teaspoon) but should be consumed in moderation (6). 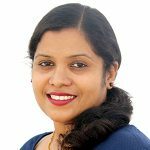 To manage gestational diabetes: Artificial sweeteners are the best replacements to sugar if you have diabetes. They do not aggravate blood sugar or insulin levels unlike regular sugar does (7). That said, not all sweeteners are safe to use. Next, we give you a list of sweeteners you can use and cannot use during pregnancy. Sucralose (Splenda®): It is a non-caloric sweetener made from sugar and approved by the FDA. It is approved for use in a variety of foods ranging from baked foods, fruit juices, baking mixes, non-alcoholic beverages, confectioneries, coffee and tea products, sauces, syrups, toppings and more. It does not affect your blood sugar levels and is safe for consumption during pregnancy (8). Aspartame (Equal®, NutraSweet® or Sugar Twin®): It is a low-calorie sweetener approved by the FDA. It is usually found in soft drinks, breakfast cereals, dairy products, pudding mixes, desserts, chewing gums and certain drugs. It is around 200 times sweeter than regular sugar and is safe for consumption during pregnancy. 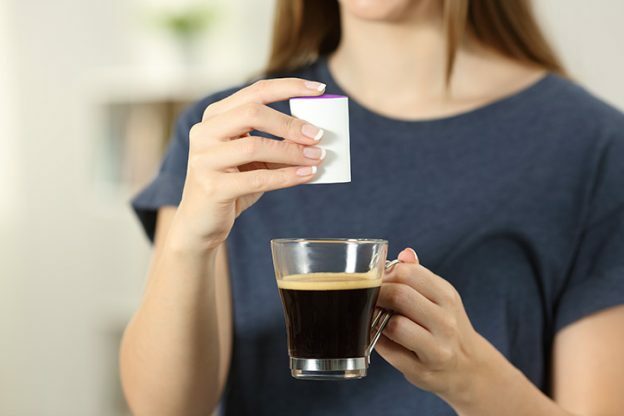 However, you should avoid this sweetener if you have phenylketonuria (PKU), a condition in which you have high phenylalanine (component of aspartame) levels in the blood (9). Acesulfame Potassium (Sunett® or Sweet One®): It is a non-caloric sweetener approved by FDA for use in foods. It is added to baked foods, sugar-free gelatins, frozen desserts, puddings and soft drinks. It is 200 times sweeter than regular sugar and is safe for consumption during pregnancy (8). Sorbitol: It is a nutritive sweetener and sugar alcohol. It is used as a sweetener in candies, puddings, chewing gum, cookies and ice creams. It is 60% as sweet as regular table sugar and is safe for consumption during pregnancy. It shows no effects on the fetus, but too much of it can cause unpleasant gastro effects such as diarrhea and upset stomach. Consume it moderately, as excess consumption can also lead to pregnancy weight gain (10). Mannitol: Like sorbitol, mannitol is a sugar alcohol and can be consumed in moderate amounts during pregnancy. Large doses might lead to gas, bloating, diarrhea and cramping (8). Xylitol: This is another sugar alcohol, and is naturally present in many fruits and vegetables. It is used in candies, chewing gum, toothpaste and other foods. It is as sweet as natural sugar and is considered safe for consumption during pregnancy. It is known to reduce the accumulation of plaque on the teeth, and thus prevents tooth decay (11). Saccharin (Sweet and Low®, Sweet’N Low®, Necta Sweet® and Sweet Twin®): It is a non-caloric sweetener, but is not as popular anymore. The FDA does not approve it as it is known to increase the risk of bladder cancer. Studies also indicate that it can cross the placenta and accumulate in fetal tissues, but there is no evidence showing it is harmful to the baby (12). Rebaudioside A (Stevia®): It is obtained from parts of the plant native to South America, and is technically not approved by FDA. However, it is identified under GRAS (generally recognized as safe) by the FDA and is only sold as a dietary supplement rather than a sweetener. There is no clear research proving its safety, and therefore cannot be considered safe for consumption during pregnancy (13). Cyclamate: This is a non-nutritive sweetener and about 30 times sweeter than sugar. It is banned for consumption in the US, and there is not enough data regarding its safety for use during pregnancy (13). Thaumatin: It is a sweet protein derived from the bush called Thaumatococcus daniellii, native to West Africa. It has a GRAS status and is used as a food additive and flavor enhancer. However, there is very little evidence of it being safe for consumption during pregnancy (3). Neotame: It is another artificial sweetener, flavor enhancer, and a chemical derivative of aspartame. It is known to be toxic as it is a breakdown of three components including phenylalanine, aspartic acid, and methanol. There is little evidence on its safety during pregnancy (3). Use the right sweeteners as recommended by the physician to enjoy the benefits. They add sweetness to the foods as regular table sugar does. They have a negligible amount of calories and do not contribute to unwanted weight gain if taken in moderation. They help manage gestational diabetes, and therefore keep sugar levels, blood pressure levels, brain and cardiac diseases in control. They prevent tooth decay and promote dental health. But at times, they can have adverse effects too. Artificial sweeteners can cause some potential harm when taken in excess. When consumed in excess, saccharin can cross the placenta and accumulate in the fetal tissue, from where it does not get eliminated. Same is the case with aspartame and sucralose, which might lead to overweight or obese children (3). Overconsumption of aspartame is known to cause headaches, dizziness, slurred speech, mental confusion, nausea, ringing in the ears and numbness (15). Sugar replacements fail to satisfy your sugar cravings and make you crave more for sweets and sweetened drinks, increasing the risk of weight gain (16). To prevent these side effects and complications during pregnancy, it is better to include the sweeteners approved by the FDA in minimal to moderate amounts. Also, check with your doctor before adding these sweeteners in your diet. Most importantly, practice safe and healthy dietary habits to stay away from such artificial ingredients as much as you can. Do you have anything to share about using artificial sweeteners while pregnant? Tell us in the comments section below. Is It Safe To Chew Gum During Pregnancy? 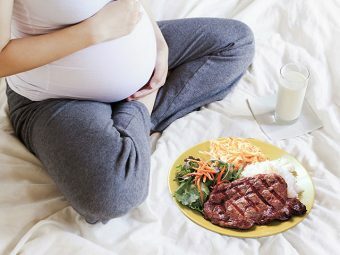 Is It Safe To Drink Soft Drinks In Pregnancy? Painting When Pregnant: Is It Safe For Your Unborn Baby? 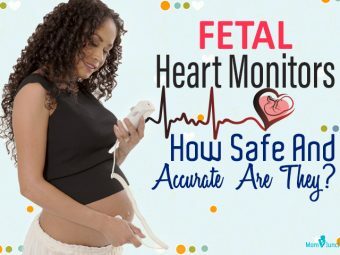 At-home Fetal Heart Monitors: How Safe And Accurate Are They?